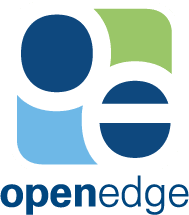 OpenEdge helps and businesses succeed by delivering secure and personalized payment solutions. As the integrated technologies division of Global Payments Inc., OpenEdge is driving payments innovation – adapting, scaling and simplifying how payments are processed. OpenEdge has partnered with eClinicalWorks to provide your organization with our leading edge integrated payment processing solution. OpenEdge processes payments right within eClinicalWorks and auto-posts results to the patient ledger, saving your organization time and eliminating data entry errors. We offer eClinicalWorks customers a complimentary analysis of their existing processing statement that often resulting in savings, while gaining the benefits of the payment integration. eClinicalWorks and TSYS (formerly TransFirst) have partnered to bring efficiency and automation to your patient payment process. Staff can now complete credit card and electronic debits to checking or savings accounts – while at the front desk within a patient’s scheduled encounter or from the Payments posting window – all without leaving the eClinicalWorks system. In seconds, payment is authorized and patient ledger and daily payment reports are updated. Payments become part of your office flow instead of a daily nuisance; front-office and post-adjudication payments are no longer outside the system manual steps. Reduce time spent processing payments, time spent updating two systems, time spent balancing two systems, reduce front-desk clutter (no need for that old credit card terminal) AND introduce new payments options to your patients use in managing their growing private pay responsibility. Vantiv, now Worldpay understands that simplicity and efficiency are critical to your practice. Leveraging the tight integration between Vantiv, now Worldpay and eClinicalWorks, you can quickly and accurately post payments to each patient’s account directly in your eClinicalWorks system. Your staff no longer needs to waste valuable time with inefficient standalone setups, double entry, and incorrectly keyed transactions, which disrupt your office flow and can negatively impact your bottom line. Utilize the secure “Card on File” functionality to automatically charge the patient balance after claim adjudication. Vantiv is an industry leader of simplified and secure payment processing, featuring TransForm® Point to Point encryption which exceeds PCI Compliance requirements.